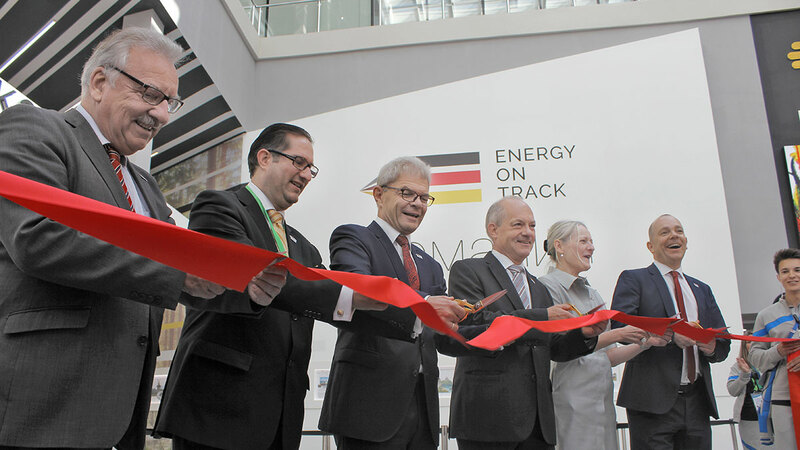 Visitors to the German Pavilion can look forward to some inspirational encounters in insglück’s spectacular German-engineered “Energy on Track“ experience world. The motto of this year’s EXPO 2017, which attracted a lot of media attention when it opened its doors on 10 June, is “Future Energy”. Around 110 nations, organisations and enterprises are exhibiting at the very first EXPO in Central Asia, which runs until 10 September 2017. Germany is one of those exhibitors, and the German Pavilion is showcasing the German energy sector’s renewable energy revolution. A syndicate, with insglück as lead agency, plus gtp2 architekten and mac messe- und austellungscenter Service, is responsible for the concept, planning and implementation of the German Pavilion. The German Pavilion was officially opened on 10 June 2017 with a ribbon cutting ceremony attended by Rolf Mafael, Ambassador of the Federal Republic of Germany to Kazakhstan, German Commissioner General Dietmar Schmitz from the Federal Ministry of Economic Affairs and Energy, which is responsible for the German Pavilion, Bettina Bochynek, Director of the German Pavilion EXPO 2017, Hamburg Messe und Congress, and syndicate partner Detlef Wintzen, Managing Director of insglück. “The entire EXPO team worked around the clock for weeks to perfect the German Pavilion before opening day. 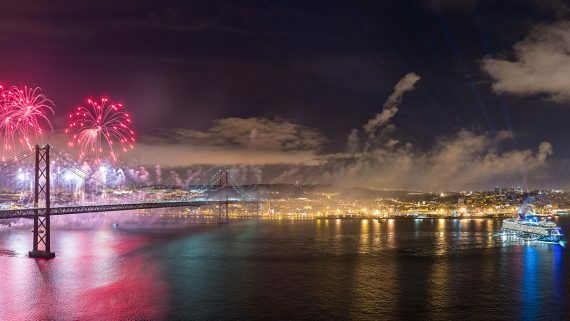 Despite encountering a few challenges along the way, the team’s absolute commitment to the project meant we were able to turn our ideas into reality in test runs a whole 10 days before EXPO opened,” commented Detlef Wintzen. The German Pavilion uses an appealing mix of information and entertainment to present sustainable technologies, innovative processes and pioneering solutions. It has an interactive design, featuring exhibits designed to touch, try out and join in, that impressively demonstrate Germany’s energy performance and competence. The interactive experience is enhanced by SmartSticks, programmed in every language, which visitors can pick up at the entrance. They are used to activate the exhibits and collect SmartPoints for answering quiz questions correctly. As guests walk through the exhibition they “zoom in“ from the global perspective to the perspective of individual people – and their energy as policies on the use of natural resources change. In the Intro area insglück illustrates the global energy generation and supply challenges facing mankind. Fascinating photographs of nature convey a sense of the vast energy that the five renewable sources, wind power, solar power, hydro power, geothermal energy and biomass, are capable of delivering. The first exhibition area, “Map of the Future“, contains a giant map showing the changes taking place in our world. It provides visitors with a birds-eye perspective of the new world of energy, and the chance to discover potential applications for renewable energies. In the second exhibition area, “City of the Future“, insglück zooms in to our immediate living environments. The exhibits in this space, all of them from Germany, demonstrate the effects of the switch-over to renewable energies on our everyday lives. At the end of the tour, the “Energy Show“ puts the focus on people as the main drivers of the energy sector transformation in a fascinating shared experience. Detlef Wintzen is convinced that, “It’s the highlight of any visit to the Pavilion.” “This captivating show makes it quite clear that a new energy era can only become a reality if we collectively make it happen.” The German Pavilion attracted a great deal of interest on the first day of EXPO. All visitors experience how the world changes around them in direct response to their own actions. The shared experience is designed to demonstrate power of human cooperation and motivate participants to embrace a new energy era. “We believe the exhibition is an ideal platform for presenting Germany as an key driver of political, economic and technical change, and it also convinces visitors of their own power to initiate change – your energy can change the world!“ added Detlef Wintzen. Bildunterschrift: Feierlicher Moment – Mit dem offiziellen Banddurchschnitt öffnet der Deutsche Pavillon auf der EXPO in Astana, Kasachstan v.l.n.r. Jürgen Klimke (MdB CDU/CSU), Jonatan Weinberg (Deutsche Botschaft Astana), Rolf Mafael (Deutsche Botschaft Astana), Dietmar Schmitz (Bundesministerium für Wirtschaft und Energie), Bettina Bochynek (Hamburg Messe und Congress), Detlef Wintzen (insglück).